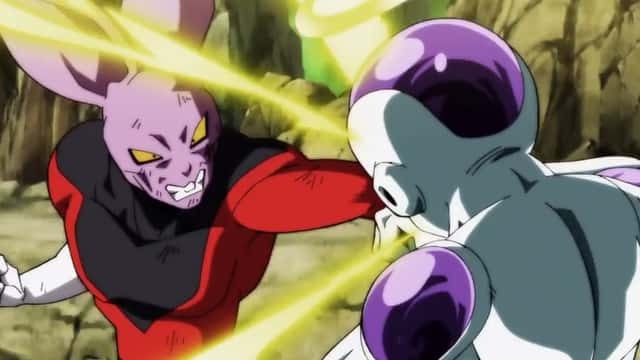 Dragon Ball Super Episode 124 Review: Stormy Fierce Attack! Gohan Fights With His Back to the Wall!! – Dyspo vs Frieza continues but Dyspo's speed is able to match Golden Frieza. Gohan decides to help. Can Gohan help Frieza eliminate one of the Fastest opponent he has ever faced? 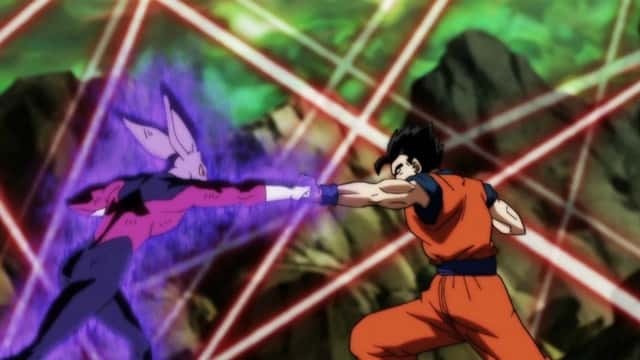 Dragon Ball Super Episode 124 Spoilers Below!!! The animation of this episode was pretty good. There were some moments where the art was a little off. But the good majority of it was pretty great. 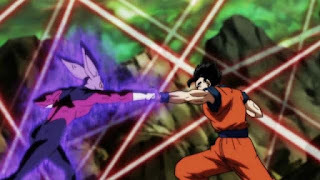 With 1 minute passing by in the episode, this episode had 2 major eliminations form both Universe 7 and Universe 11. Golden Frieza showcased some of his true power. 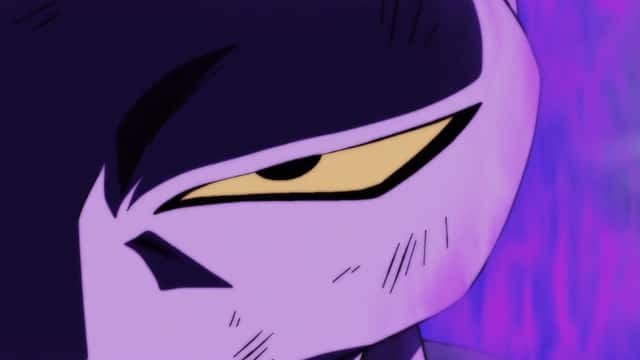 But this time Frieza didn't feel as great as he has been since he returned from the after life. 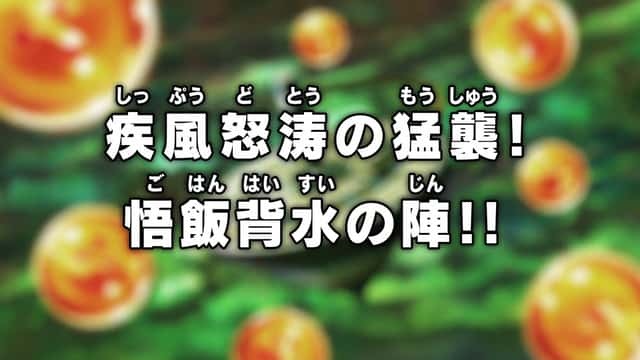 The episode starts with Goku and Vegeta staring Jiren, Goku praises Jiren's Power. Vegeta comments that the real fight begins NOW. Soon Goku and Vegeta launch a Kamehameha and a Final Flash, respectively. Jiren is unharmed as usual. 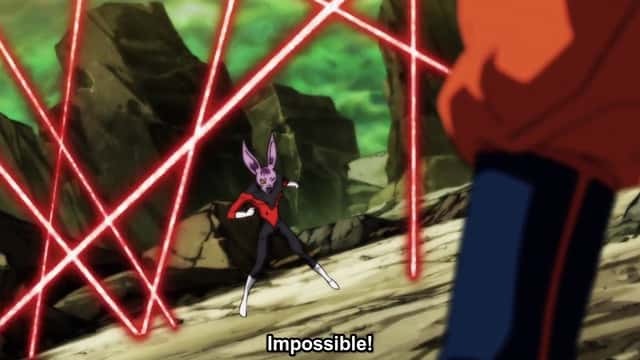 With Jiren showing more of his power, Dyspo also decides to go serious as well while attacking Frieza. He claims that he is not even at his top speed yet. Dyspo increases his speed and start pushing back Frieza. Dyspo launches his Circle Flash attack and traps Frieza in that ring, which explodes. Frieza then decides to bargain against Dyspo, that he will help Universe 11 if Dyspo promises to Use the Super Dragon Balls to bring him back. Dyspo sees through this poly and figures out that Frieza just wants to use Dyspo to win, so and denies that he would help Frieza. 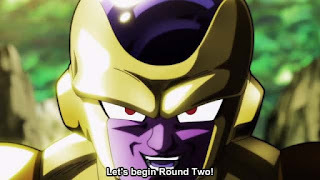 Frieza decides to finally get serious and go "Golden Frieza" for round 2. 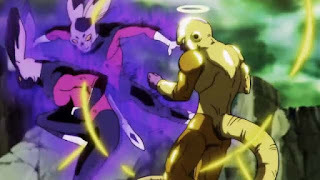 Dyspo attacks Frieza again but Frieza to fast in his Golden Frieza form. Dyspo then decides to use his Super Technique and reaches new level of Speed after getting angry and begins pushing Frieza back. 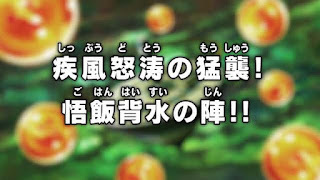 Belmod says that this is Dyspo's Super Maximum Light Speed Mode, his final technique. This makes him move so fast that not even the GodPad with the slow motion enhancements enabled could not keep up with him. Grand Priest promises that he would enhance the GodPad next time. Gohan sees that Frieza is getting beaten and almost thrown out of the stage. So Gohan goes to help Frieza. 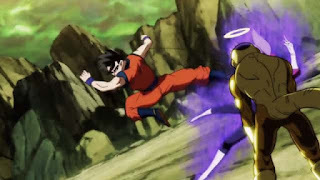 Before Frieza could be eliminated Gohan comes just in time to stop Frieza's elimination. Gohan thinks of a plan to stop Dyspo. Frieza says that he will follow Universe 7's leader. Frieza launches lots of Death Beams to limit Dyspo's movement. Gohan then starts fighting the Pride Trooper. Frieza soon runs out of stamina and is unable to keep the attack going. Dyspo seeing the opportunity decides to run away. But Gohan quickly grabs him and tells Frieza to launch both of them off. Frieza gladly does so. Both Dyspo and Gohan have been eliminated. 6 minutes remain before the end of the Tournament of Power and Only 6 fighters remain. Universe 7 has 4 with Universe 11 having 2 left. Gohan showcasing his leadership skill. Golden Frieza still not doing much. 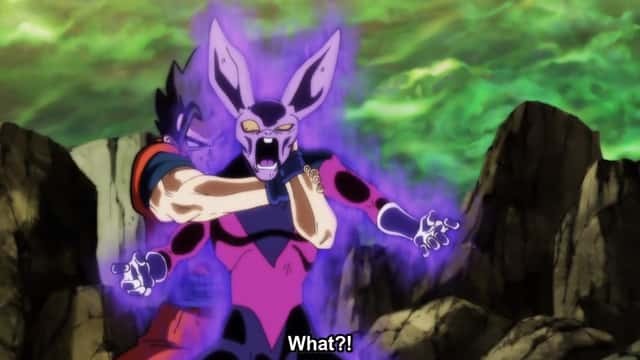 Dragon Ball Super Episode 124 was a decent entry to the series. But it didn't offer anything memorable. It was an average episode which left a lot to be desired. Looking forward to the next episode with that awesome Preview.